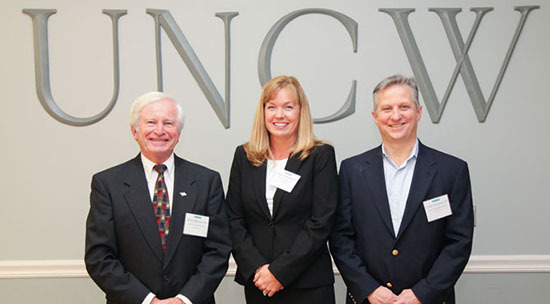 The outstanding alumni are recognized during the Cameron School of Business' Business Week each year. Read the We Are UNCW feature on these three here! 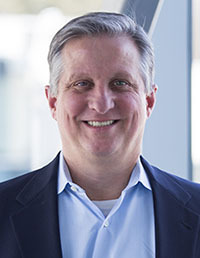 Chris Dentiste is the Vice President and Chief Financial Officer of RSA, a division of Dell EMC that provides industry-leading cybersecurity products to more than 30,000 organizations worldwide. Dentiste has over 30 years of accounting, finance and M&A experience within the high-tech industry and in his current role is responsible for all aspects of accounting, finance and operations for RSA. Dentiste began his career as a systems analyst with EDS and after two years was chosen to participate in their Executive Finance and Accounting Development program. After EDS, he held several influential positions within the high-tech industry before landing at Adaptec. At Adaptec, Dentiste served in several various senior finance and operational roles before being promoted to Director of Corporate Finance and M&A where he was instrumental in transforming the business by generating over $200 million in new business. Dentiste joined Dell EMC in 2004 as a business unit controller and was promoted to Vice President in 2011. Dentiste received his Bachelors of Science in Economics from the University of North Carolina at Wilmington and earned a Masters of Business Administration from Santa Clara University. Dentiste and his wife have two children and live in Hopkinton, Massachusetts. In his free time, he loves to travel, coach youth sports and compete in sprint triathlons with his sons, nieces and nephews. 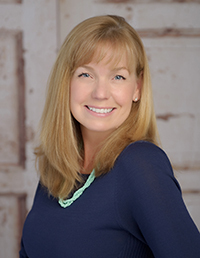 Hope Clark Campbell grew up in the Elizabethtown and White Lake area of North Carolina and graduated from UNCW’s Cameron School of Business in 1991 with a Bachelor of Science Degree in Business Management. Her first job out of college was at PPD, where she was Executive Assistant to the Medical Director and Senior Vice President during this exciting time as PPD was preparing for their Initial Public Offering (IPO). After leaving PPD, Ms. Campbell went to work for the family business in Elizabethtown and White Lake. Clark Brothers owns and manages commercial real estate, including shopping centers, offices and land leases in Bladen County and Wake County. The company also owns and manages timber land, farm land, and leases land to a solar farm. The family also owns Clearwater Enterprises Inc., d/b/a/ Camp Clearwater, which is the largest commercial campground in North Carolina, with almost 1,000 sites on the shores of natural, beautiful White Lake. Seven years ago, the Board of Directors elected Ms. Campbell President of Clearwater Enterprises, Inc.
Hope has served her local community in extraordinary measure – serving on the White Lake Planning and Zoning Board since 2001; serving on the BB&T Columbus-Bladen County Advisory Board, the Board of Directors of Elizabethtown Christian Academy, Small Business Credit Committee Member for the Rural Center, member of the Bladen County Strategic Planning Committee, and Elder of Elizabethtown Presbyterian Church. She is Past President of Foxglove Garden Club and past board member of the Elizabethtown Chamber of Commerce. Hope is married to her high school sweetheart, Brian Campbell, who is also involved in his family’s business, and is mother of four beautiful daughters, ranging in age from 11 to 21. 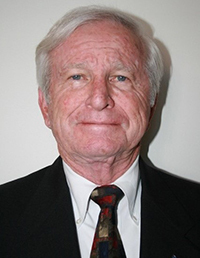 Michael W. Barton is a native of North Carolina and a 1968 graduate of Wilmington College (now the University of North Carolina Wilmington), where he received a B.S. degree in accounting. Four years later he earned his M.B.A. degree from Georgia Southern University. In May of 2010, Michael received an Honorary Doctor of Leadership Arts Degree from Martin Methodist College. Michael spent his business career in the health care field, serving in administrative positions with Hospital Affiliates International until co-founding his own firm, Hospital Management Professionals Inc., in 1981. The corporation was sold to Quorum 10 years later. He then served as co-founder and president of Health Horizons, which owned and operated outpatient surgery centers across the nation, until it was purchased by USPI. His final entrepreneurial venture was as founder, chief executive officer and chairman of Pricare Inc., which owned and managed physician practices across the country. Mr. Barton previously served as past chairman of Martin Methodist College, past chairman of Centerstone Community Mental Health, the largest non-profit mental health organization in Tennessee, and has served on the boards of FSC Health Inc., which owns and operates specialty surgical hospitals in California, AEGIS Inc., which develops marketing systems that direct patients to 50-plus hospitals across the U.S., and the Schumacher Group Inc., which operates and provides physician staffing for more than 100 hospital emergency rooms nationally. He is also a past board member of Tennessee Repertory Theater, and the Girl Scout Council of Savannah, GA.